A cryptocurrency such as Bitcoin is really just another way to pay for goods and services, which has been formally recognized by some governments, and operates at the end of the day the same way as cash, gold, or any other acceptable payment would. There have been questions about whether its use is legal, or ethical given its anonymous way of conducting a transaction, though if you declare it and pay your taxes on it, as you would with all other income, you are on pretty safe ground. Its adoption is most definitely growing and there is little doubt that at some point in the future, its acceptance will be pretty much all encompassing. Companies accepting crypto payments firstly at this moment of time, enable themselves to appeal to a broader audience than those who do not. Transaction fees are very significantly lower than traditional ways of sending money, adding to bottom line profitability, with transactions conducted considerably faster. Setting up a smart contract, you can be paid for your goods or services at a pre-specified agreed upon point, ensuring much faster incoming payments, which previously would have had to then be invoiced for. If you make the decision to use cryptocurrency in your business or personal dealings, you can be assured of the secure nature of the financial transaction, which is totally controlled by block chain technology. It must be remembered though, that a transaction once completed, is like handing over cash, and the deal is final, very useful if you have customers sometimes disputing transactions. This can of course work in the opposite way, so it is worth knowing who you are buying from, especially given the totally anonymous nature of the currency once it has left your hands. Many people want to know how to buy Bitcoin in Australia and the good news is that while options were at one point limited, they are becoming more widely available to trade. Bitcoin is booming in Australia involving ever growing amounts of money. The easiest way of buying any cryptocurrencies is to use an exchange, which does exactly what you would expect: change your local currency into whichever crypto you require. There are a range of cryptocurrencies out there and many exchanges do not work with them all, while others may have financial limits on the allowed value of daily or weekly transactions, possibly limiting you in your required use. It’s really worth doing your homework before choosing which exchange to use. 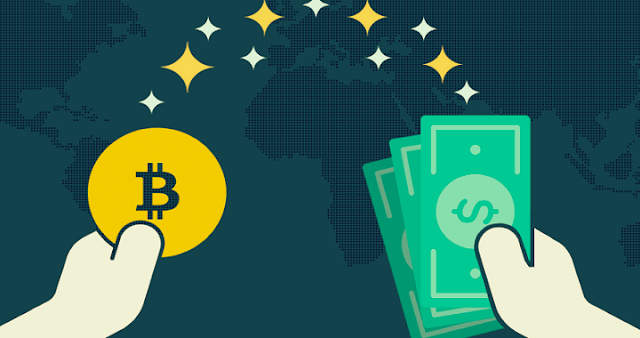 Aside from varying fees, some exchanges do not offer perfect security measures, may have different payment methods, and differing options for conversion into fiat currencies. An Internet search will quickly help you to identify the leading and popular service providers, which you can then check out in greater detail to find who is best suited to your transnational needs. It is difficult to say with any precision exactly how fast the global adoption of using Bitcoin and other crypto is going to be, but if its rate of adoption continues in its current trend, it is likely that in time we will view it no differently from the cash we have in the bank or at our access with credit cards right now, making now a very good time to learn more.